Do you want to boost your customer base? Brian Halligan and Dharmesh Shan show you how. Inbound Marketing focuses on building relationships and delivering remarkable content to your customers instead of interrupting them with TV or radio ads. Furthermore there are several steps for each chapter which shows you how to execute these ideas. Track your progress: Whether you test a new layout or a new form of online activity, track your progress. Test what works and what doesn’t and act on this! Remarkable content: It is important that you create content which is valuable to others. It should be so valuable that your readers decide to share your content with their peers. What I really like about this book is that it gives you actionable advice. This point was missed by The new Rules of Marketing & PR. Additionally, there is one really cool list with about 20 points on how to promote your startup on social media or tips on how to name your blog/company. 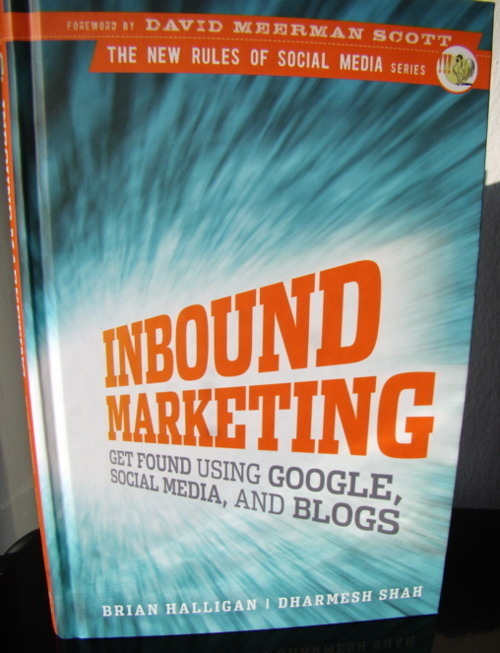 In conclusion, Inbound Marketing gives you a great view about a lot of important topics in social media (marketing) and provides a solid base to work on.